﻿When you think, if you ever do, of the great African kingdoms that Britain fought against, the chances are that it is the Zulu who come to mind. The famous battles at Isandlwana and Rorke’s Drift mean they have come to epitomize the pre-colonial African empire – but compared to the Ashanti they were parvenu. The Zulu Empire was a 19th Century phenomenon, but the Ashanti Empire dated back to the first years of the 18th and was vast, covering much of current Ghana, Ivory Coast, Togo and Benin. The Ashanti were already established traders with the Portuguese and Dutch, as well as the British. The main goods were ivory, gold (Ghana’s colonial name was the Gold Coast) and slaves, and as a result of this long-established trade they possessed firearms alongside their spears. They were not a force to be dismissed lightly, as the British discovered in conflicts in the 1820s and the 1860s, and it was an empire which took itself seriously. The immediate origins of what is known as the Third Ashanti War started with Britain’s purchase of the Dutch Gold Coast in 1871, including the port of Elmina. The Ashanti regarded Elmina as their property, and indeed the Dutch had been paying a rent or tribute for it, but this claim was not acknowledged by the British, and relations began to deteriorate. In early 1873 the Ashanti decided to assert their claim by invading the British territory and taking possession of Elmina. In retaliation the British called in the navy, and in June Elmina was shelled and destroyed, precipitating a series of skirmishes between the Ashanti and British native forces commanded by British officers. 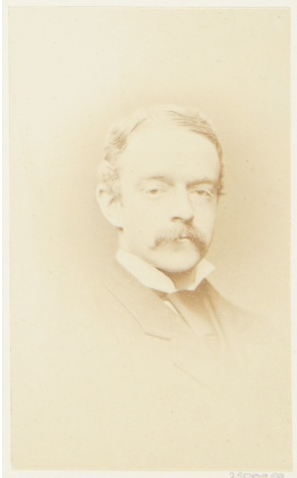 A stalemate seemed to be established, and so the British General Sir Garnet Wolseley was sent out (famed for his efficiency and high standards, he is the origin of the phrase “All Sir Garnet”, meaning everything in order). I regret that one young Officer lost his life, Lieutenant Eardley Wilmot, Royal Artillery, a fine promising soldier. He was badly hit early in the skirmish, but, like an English gentleman, continued in the field at his post, until subsequently shot through the heart, when he died almost immediately; several of the officers were hit, mostly slightly. Eardley-Wilmot came from Berkswell in Warwickshire, and it is in the church of St. John the Baptist that his memorial can be found (the church is worth a visit to see the two Norman crypts, the timbered porch, and the Mouseman carvings inside, as well as Frederick’s memorial). The seat of his father Sir John, Berkswell Hall, is still there, a Grade II Listed building, although it is now residential apartments, no longer a family home. Frederick was not to be the only member of the family to die at war. In the following generation his namesake, Lieutenant Frederick Lawrence Eardley-Wilmot, of the Canadian Light Infantry, son of his cousin Arthur, was killed in 1915 fighting on the Ypres Salient. In the generation after that his great-nephew, Major Anthony Neville Eardley-Wilmot, died in North Africa in 1943. Some families take more than their fair share of deaths. After reviewing the shambolic conduct of the native troops in battle, Wolseley decided he needed British troops, and he asked for them in the dispatch quoted above. By January 1874 he had three thousand British and West Indian troops at his disposal, with an officer corps that featured some famous names – including Butler, Bullers, Eyre, Paget, Wauchope – many of whom went on to gain prominence in the army. The campaign now was short. The Ashanti had the numbers, but even though they were armed they could not match the firepower of the modern weapons wielded by the British. At the battle of Amoafo on January 31st the Ashanti apparently fought hard and skilfully, but the British, with the 42nd Regiment distinguishing themselves, won the day; Lance-Sergeant Samuel McGaw was awarded the Victoria Cross. Five days later the battle of Ordashu led to the Ashanti abandoning their capital, Kumasi, leaving the British to destroy it. Lieutenant Mark Sever Bell, of the Royal Engineers, won the war’s second Victoria Cross; Lieutenant Arthur Hardolph Eyre lost his life. Born in Cape Town in 1850, when his father was fighting in the Xhosa Wars, Eyre was brought up at Bilton Hall, near Rugby in Warwickshire. 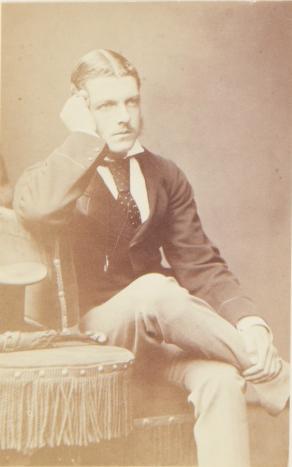 His father died in 1859, in ill-health following the Crimea campaign, but his mother remained at Bilton until her own death in 1898. It was she who erected Arthur’s memorial in the fourteenth-century St. Mark’s Church at Bilton – he was her only child. Bilton is only about 15 miles east of Berkswell, and like Berkswell Hall Bilton Hall is a Listed building (Grade I) turned into apartments (though it has not been lived in as a house since the First World War).